Google Chrome 63 has been officially launched for all Android devices and one of the most popular browsers for the mobile platform has just got better. While Chrome has some stiff competition on the desktop platform due to the ever-growing popularity of Mozilla Firefox, new Microsoft Edge and so on, they are pretty safe in the mobile market as all Android phones come default with Chrome browser installed in them. According to the official update page, the new version of the browser includes flags page, brand new minimal UI design for all web apps and also change the way the entire app looks so that web pages sync with the design used for base UI. Google has been consistently working to improve the overall user interface of the app but until Chrome 62 it was not largely rolled out and users were still stuck to using the old user interface which was not as intuitive as the new one. After various testing and through beta channels, it has officially made its way to the platform through Chrome 63 and the developers seems to have completed providing the final touches for the interface. Flags section may come in handy for those who like to have quick access to their most visited websites, bookmarks and so on. The new interface found in the flags section is very clean and should be an appealing choice for them all. In order to simplify things, the designing team has also managed to implement a search feature so that you can easily browse through the list of flags and find the one you need without having to manually search for it. Google calls it the minimal UI which is something you can already find in majority of Android updates and the latest Oreo 8.0 just pushes it further. It is an extension of the materialistic user interface where the team usually gets rid of the shadows and gradients so as to make the icons, the front panel and the browser window look as flat as possible. 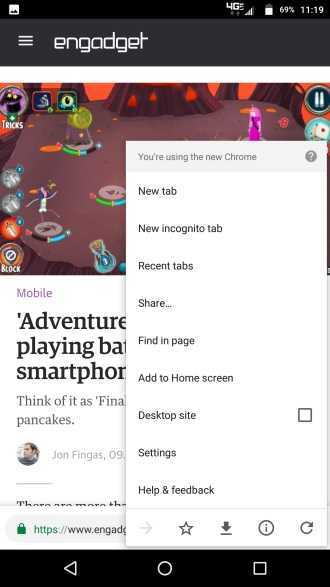 It also vastly improves load times and make the homescreen look like its your custom Chrome tab. 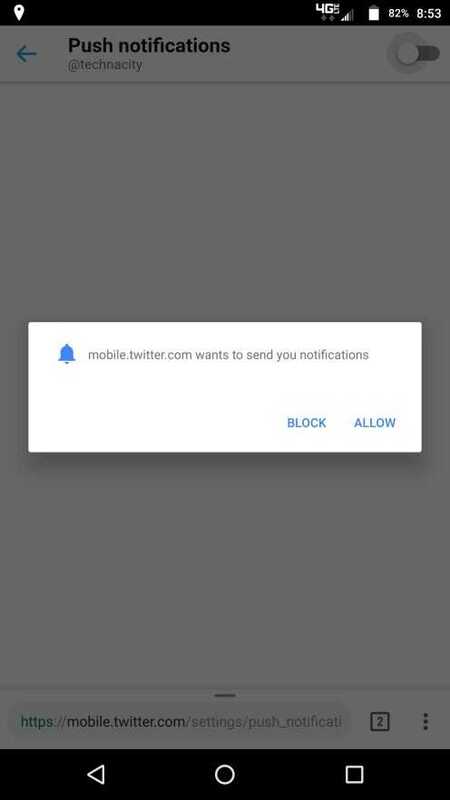 With Google Chrome 63, the team has also introduced the concept of auto completion on the task bar for your Android smartphones, Device Memory API which will automatically identify the RAM available on your device to make use of it accordingly and permission pop-ups. The update is available on the Google Play Store now. Next Next post: Whatsapp Should Allow Users to Decline Group Invitations, Here’s Why?